"Nagisa can live with me forever, because canned mackerel." Nagisa, you can come live with me, sweetheart, and I'll be your new mom, and you can swim and have all the sugar bread you want, no matter what mean old Gou-chan says. Hey, it's Tohru! Actually my first thought was he'd finally had enough of his sisters, but it turned out they just gave him kind of a cliched overbearing parents story. 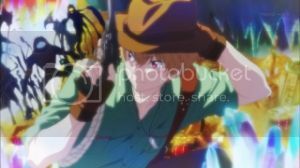 It felt like giving Nagisa drama for the sake of giving Nagisa drama, and not that it contradicted anything we knew, but... I don't know, just kind of unnecessary. Don't make my Nagisa sad! And it was all resolved neatly offscreen without us ever even getting to meet his family, so whatever. I know the point was to give the boys a chance to rally around him, so I did love that, because for me this show is all about the friendship. And Rei's right, Nagisa is not one to give up like Rin. Speaking of, not enough Matsuoka siblings in this one for me. 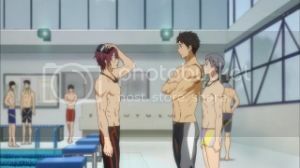 I know the Rin-haters were probably happy for the break, but this would have been a good opportunity for that Rin-Nagisa interaction I've so desperately wanted. I know he's got enough on his plate and all, but still. Oh, and I would read the hell out of this fic, with Gou as his plucky partner/sidekick. This is where we differ. I thought the episode really firmed up Nagisa. Yes, he was due some character development, but I thought the show handled his character-development episode very well. I can relate became I come from an Asian family where its straight-As or nothing and having burned out in college. I'm glad Nagisa's struggle was parental pressure and studying. 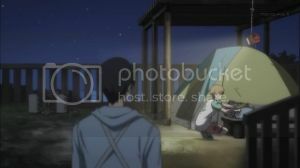 Those are huge themes, and a real struggle for many, and it made Nagisa feel a lot more real. I like him much better now. 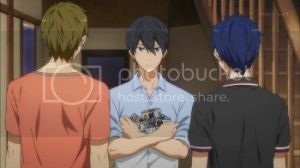 And it makes me think that because Nagisa is so attached to Haru and Makoto, he and Gou probably won't really discover each other until the boys part ways after high school. I'm white as white bread, and the oldest, and I was also subject to pressure about grades and college and have been told on more than one occasion that I'm a worthless failure because I *gasp* chose to quit a job I hated and be a housewife. So it's not that it's not relateable and believable, just that it's been done sooooo much. At least they didn't go full on Dead Poets Society about it, because that would have been dark. Hmmm... for some reason I don't think it's over done. Just goes to show you the difference in perspectives. The other thing is: You wouldn't have expected Nagisa to be the one who struggled with parental pressure and studying. Rei would have been the natural candidate; he's the one who wears the glasses. Nagisa just doesn't look the part of the stifled bookworm; the unexpectedness is refreshing. Seeing how lifeless he looked in his middle school flashbacks made me go all "I feel you man." I like this side of Nagisa. He was too sugary for me before, now he's balanced, like sprinkling some bitter chocolate on top of ice cream. Yeah.